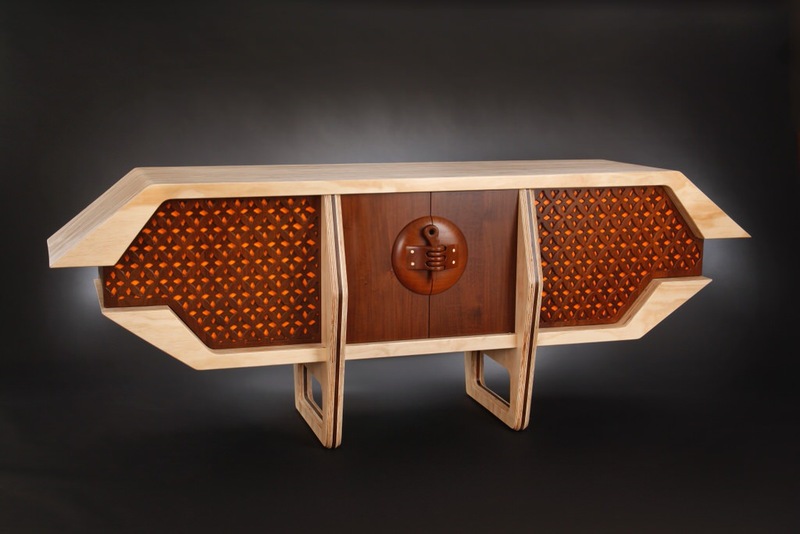 Jory Brigham is a fourth generation carpenter who partially attributes his unique furniture design style to the fact that he didn’t receive a formal education in woodworking. 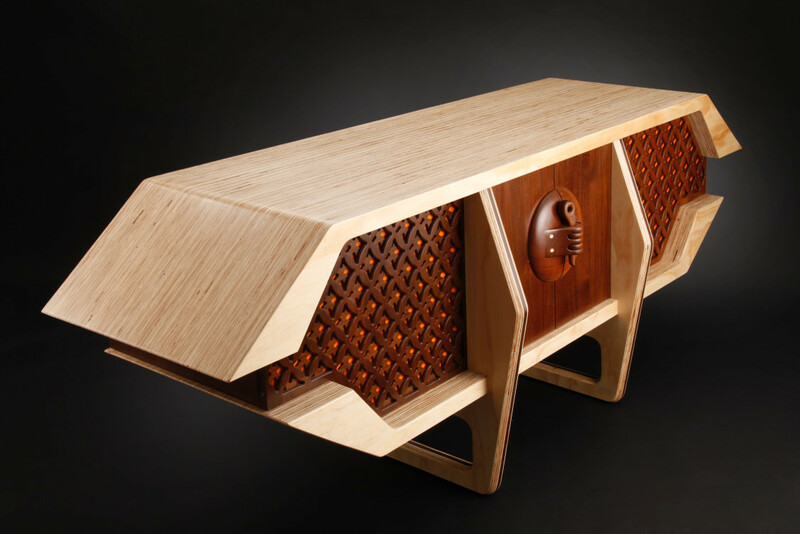 Instead he learnt the trade from his father in his childhood and to this day all of his pieces are handcrafted by himself along with a small team in California. 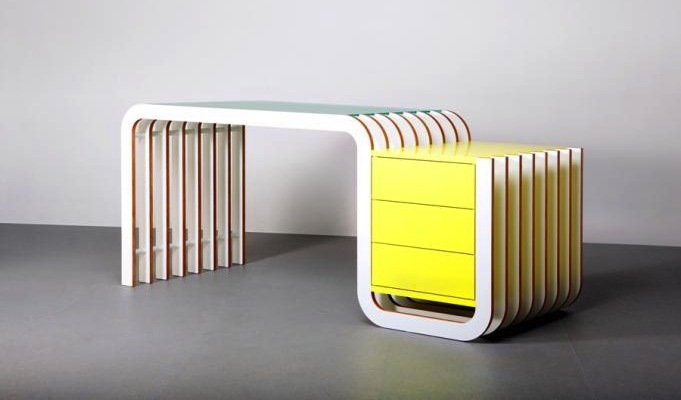 The group has a strong emphasis on sustainability and build their furniture to last in the hope of reinstating the tradition of heirloom pieces that has been lost in modern day consumer culture. 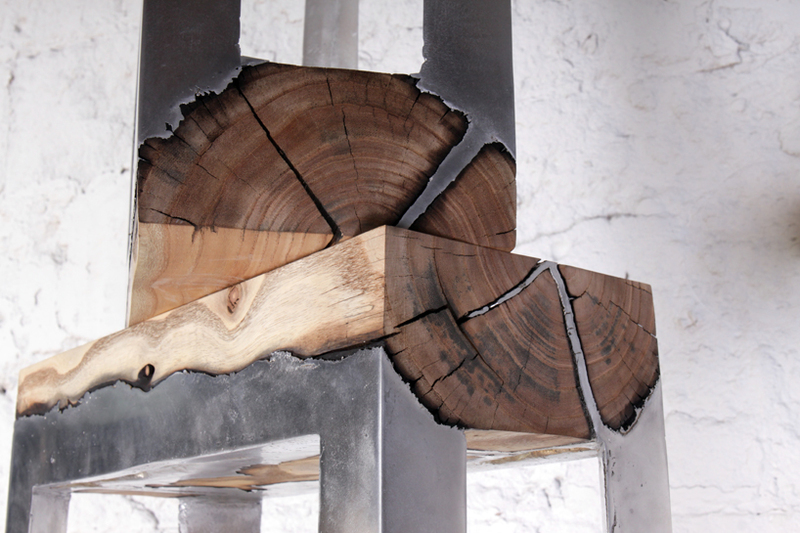 In this video Jory Brigham talks about his life and his work process — try not to envy him too much as he shows us around his workshop. 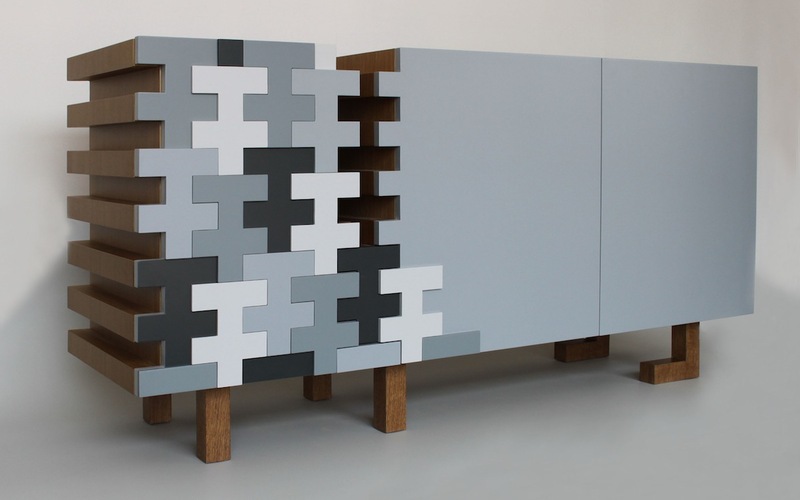 Jory Brigham Design work on an array of furniture pieces: tables, chairs, benches and beds, but it are his credenzas (a form of stylised sideboard) which seem to be the main focus and have brought him the most recognition. 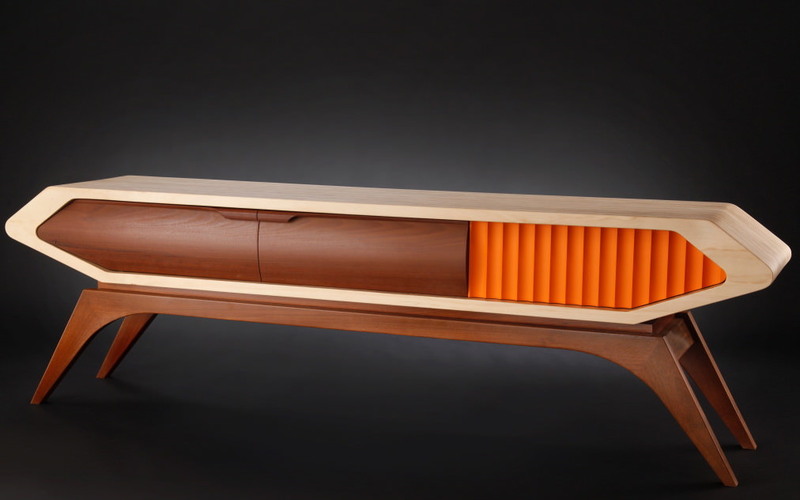 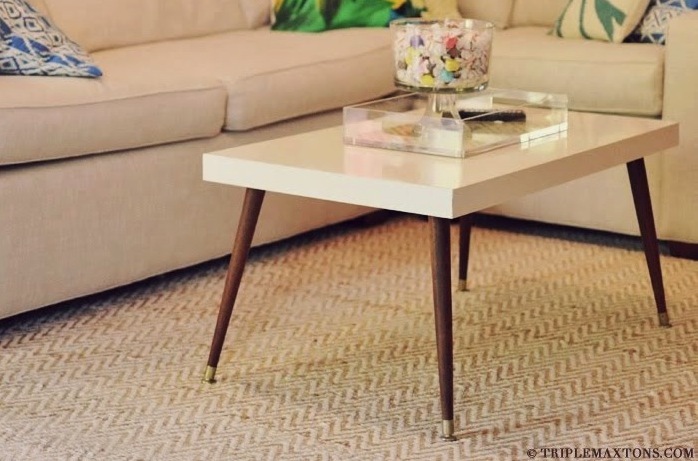 His pieces culminate many of the fast-changing design styles of 20th century furniture, with elements of mid-century modern, art deco, and a distinctly 60s retro feel throughout. 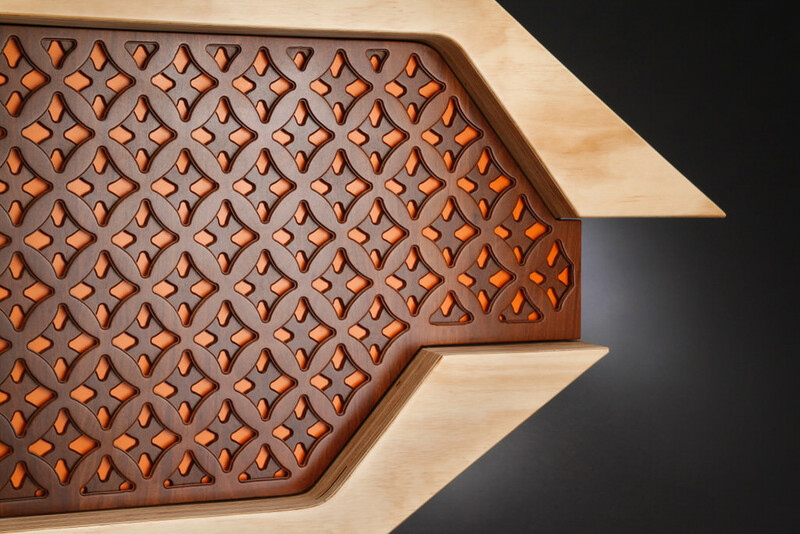 The Monroe is a particularly interesting credenza that Jory Brigham has produced and it was originally designed for a client’s Moroccan styled house that was built in the 60s. 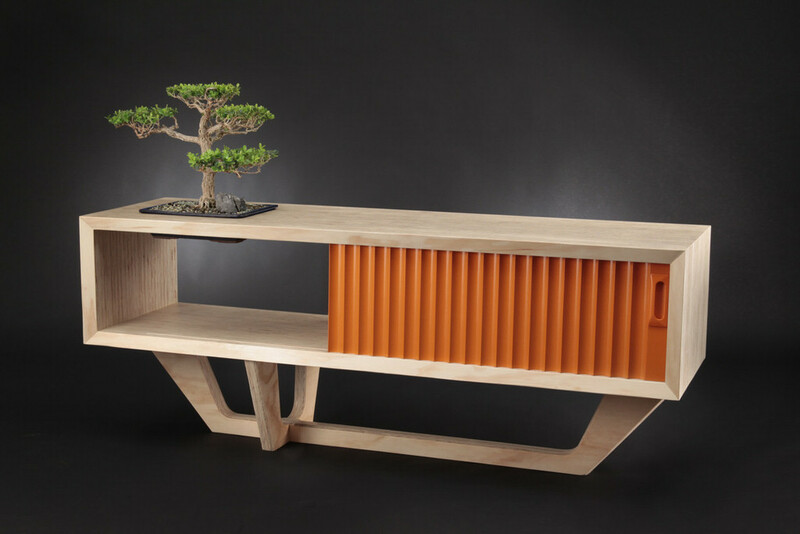 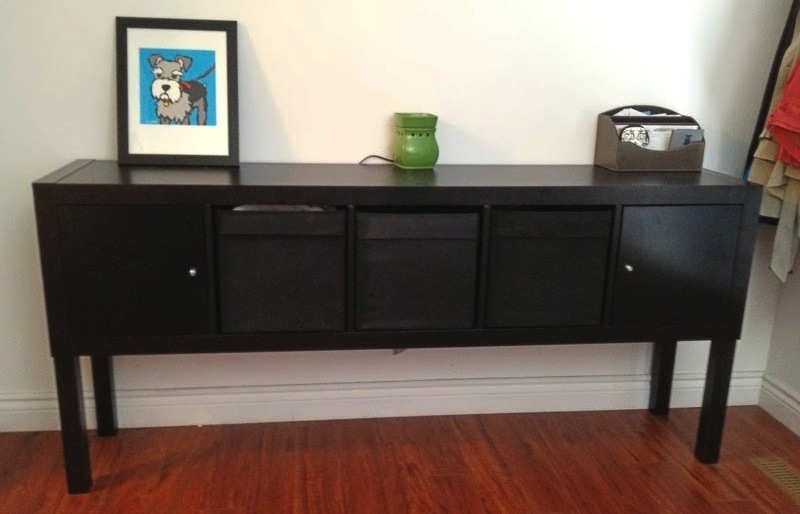 This sideboard meets the design brief with a level of perfection typically reserved for the gods. 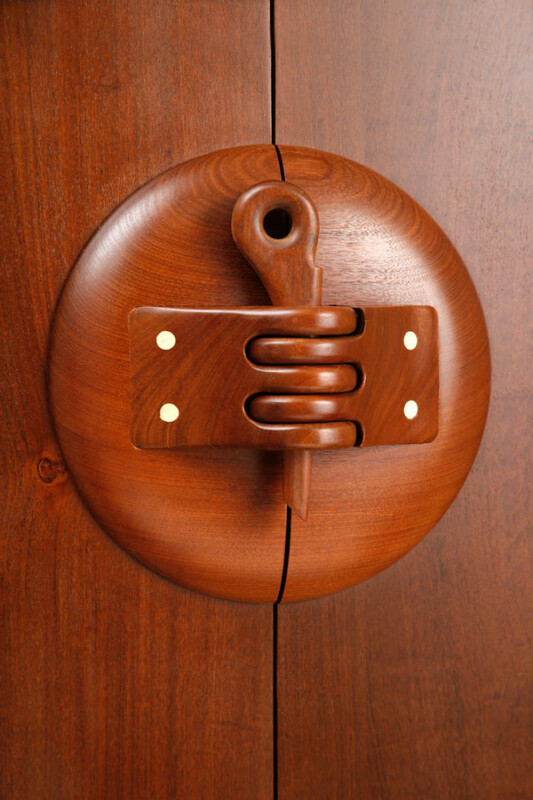 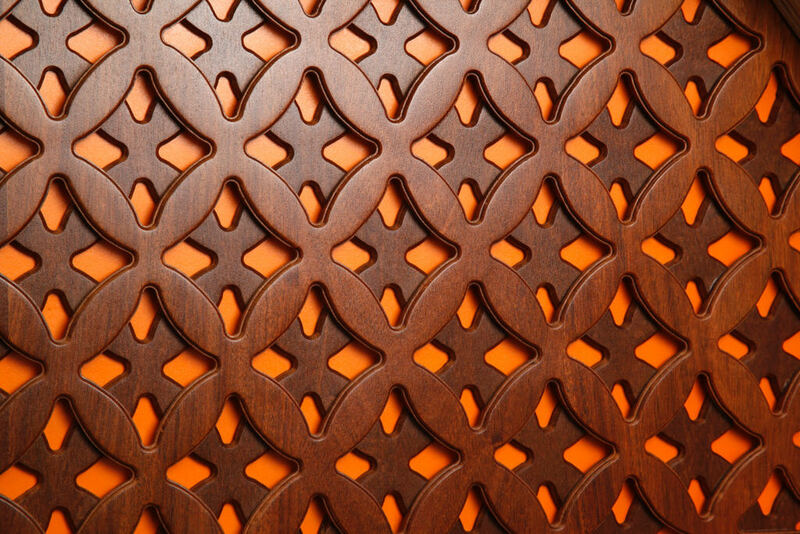 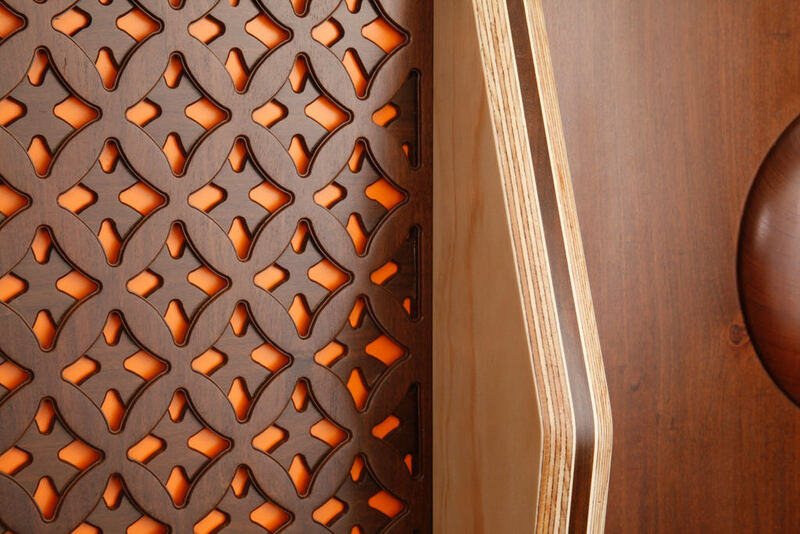 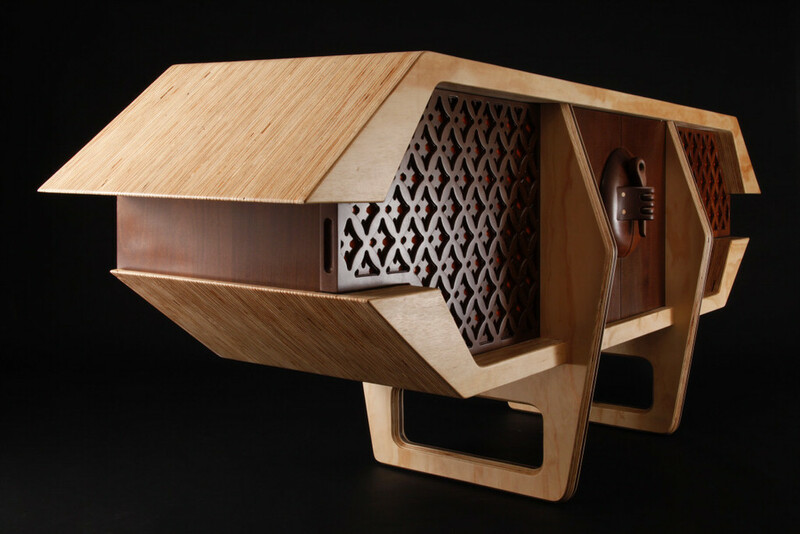 It features on-edge plywood supports, Jali screening, and a masterfully hand-carved pin latch at its centre.